It’s Super Bowl week, and all the focus is on the big game. 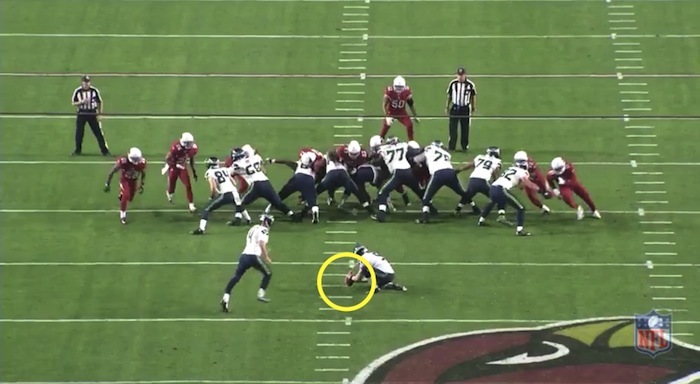 Whether offense, defense, or special teams, Inside The Pylon has you covered. Seattle Seahawks kicker Steven Hauschka has emerged as a question mark heading into the postseason after outstanding seasons in 2012 and 2013. 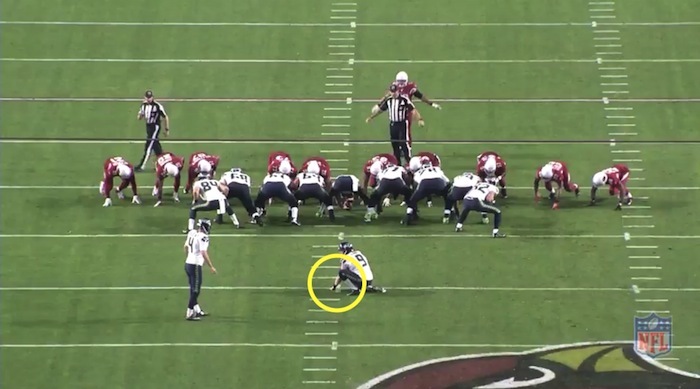 Special teams expert Chuck Zodda breaks down the reasons why Hauschka has struggled, and how he can get back on track. When I read Steven Hauschka’s story of how he got to the NFL, I get a strange sense of déjà vu. Recruited to play college soccer? Yeah, I did that. Quit soccer after a disappointing freshman season? Did that too. Walked on to the football team at a friend’s urging? Definitely (thanks, Spike!) Two-time all-conference? The stories have now diverged somewhat. They continue to split from that point, with Hauschka going on to have a perfect senior season at North Carolina State University and then struggling in his first two seasons with the Baltimore Ravens and one with the Denver Broncos, before finally finding a long-term home with the Seattle Seahawks in 2011. Hauschka’s first full professional season was merely pedestrian, as he finished by making 83.3% of his kicks, good for 16th in the league. But his 2012 and 2013 seasons vaulted him into the discussion of top kickers, with his 88.9% and 94.3% hit rates placing him 12th and 2nd respectively. Hauschka was a kicker on the rise, with a strengthening leg, allowing him to make all three of his kicks from 50+ yards in 2013 after being just 4-of-10 in the prior five years. Unfortunately, Hauschka regressed in 2014, making just 83.8% of his kicks on the season. 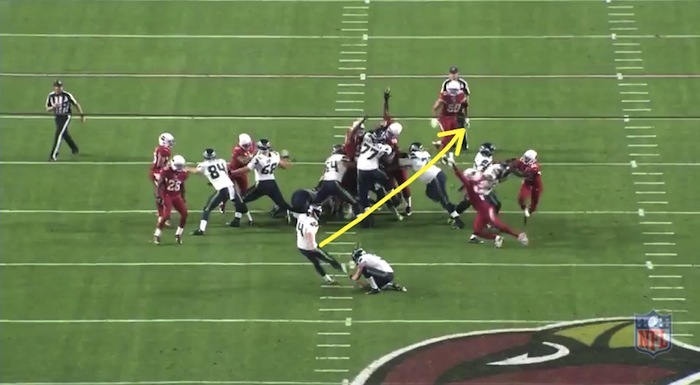 However, three of his six misses occurred in a single game against the Arizona Cardinals in Week 16. Stripping out that game, Hauschka connected on 91.1% of his attempts. So what caused things to go so badly against the Cardinals? More importantly, is it still something Seahawks fans should be concerned about? 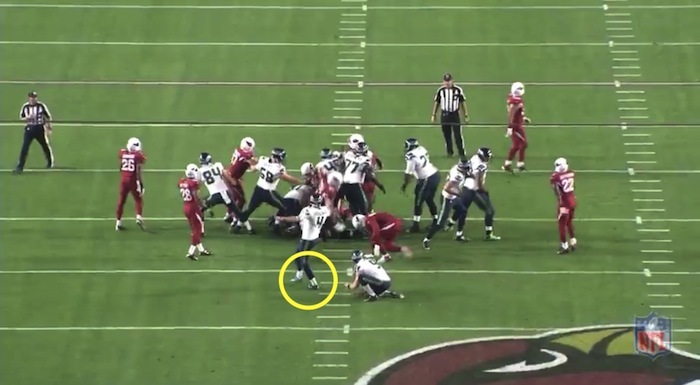 Before looking at Hauschka’s troubles, we need a detour to the classroom for Placekicking 101. The forces generated during placekicking are very similar to those used in golf. The kicker attempts to produce a consistent plane for his leg, creating a stable and repeated contact point high on the instep of his foot where hard bones dominate the physiology. Just like golf, trying to lift the ball results in decreased distance, so a kicker attempts to hit down on the ball slightly to generate lift and carry. But the similarities to golf go beyond how to strike the ball. There are also identical consequences for improper technique. In golf, one of the primary ways players slice a shot is by spinning off the ball as they come through, which drags the club head and forces an errant shot. Placekicking is no different. Attempting to generate excess force through increased rotation causes the leg to drag behind the hips, resulting in a slice with decreased distance. Likewise, one of the major causes for a hook in golf is wrapping the club around the ball as a golfer comes through the strike zone, usually the result of the hips lagging the arms and club head. In kicking, this same motion creates a similar action, with a low line drive hook that is likely to be blocked or miss the target. 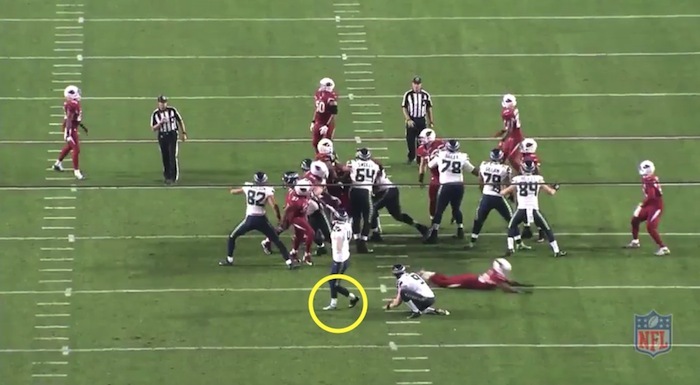 As Hauschka finishes his strike, his right kicking leg swings with his hips to finish just to the left of his left leg. 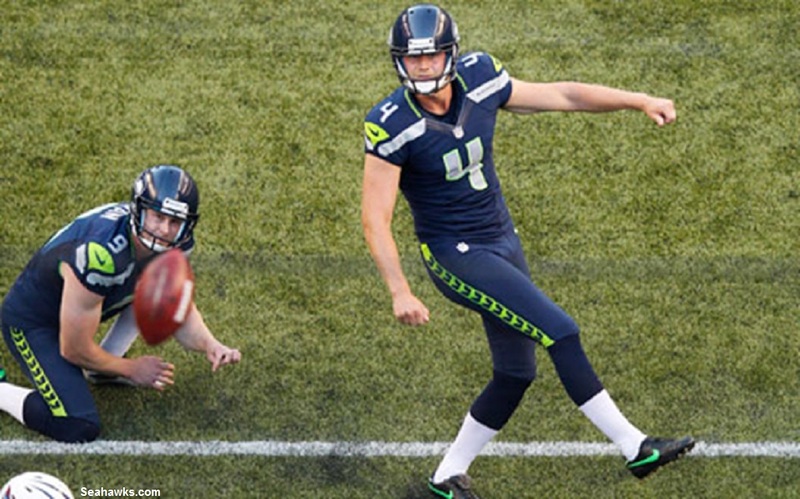 There is no way to completely eliminate gyration, as the torque generated helps to provide power for Hauschka – that’s what the rise of the “soccer style” kick is all about – but this follow-through demonstrates that even with his pivot, he still manages to keep most of it through his target. 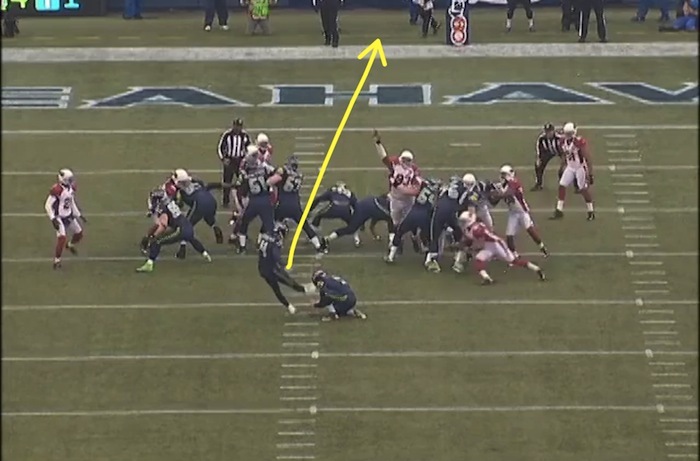 Hauschka’s right leg lands just in front of his left, taking him directly through the target, with all force moving in that direction. This is a beautiful kick, and if you can sense the combination of jealousy and appreciation through your computer screen, you are not mistaken in any way. This is not a bad hold by any means. 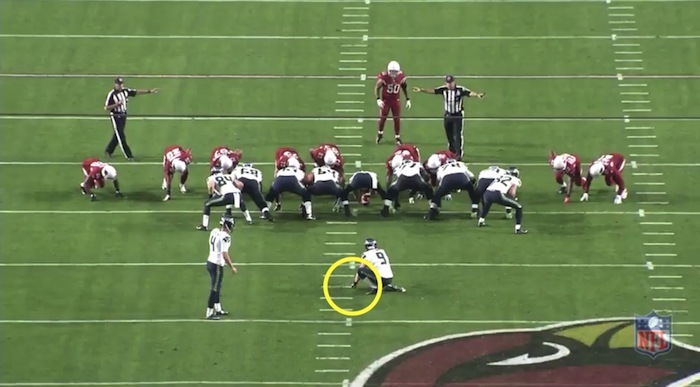 The laces are facing out and the ball has a slight tilt towards the holder to create a rounder surface for Hauschka to kick. This increases the contact area, allowing greater force generation. 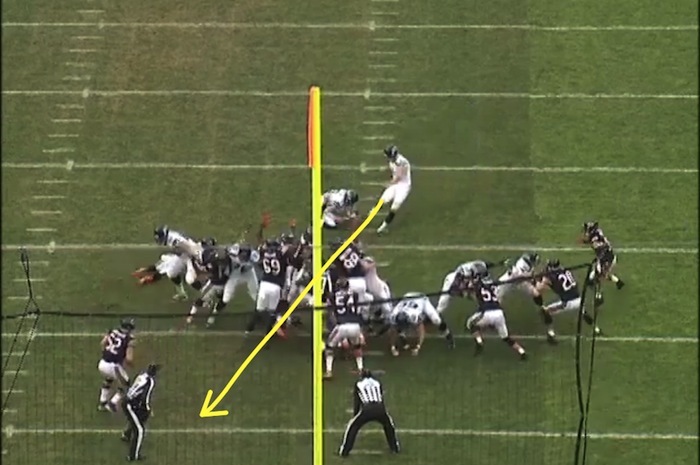 But the two-inch slide towards the kicker does have an impact on his kick. 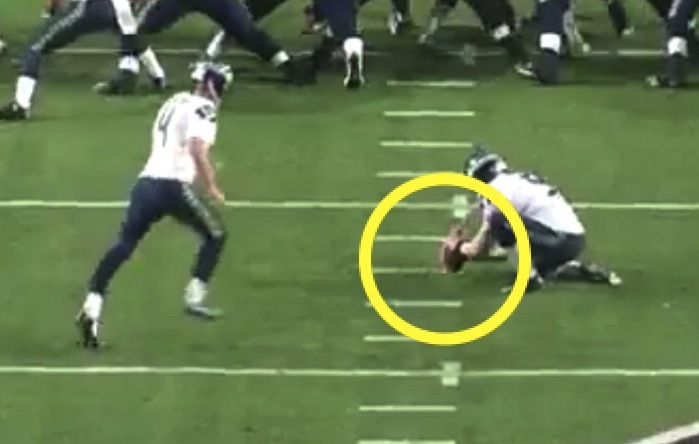 In attempting to adjust for the hold, Hauschka sped up his hips to try to get inside the ball, even though he was unsuccessful. The result is additional rotational force, with his kicking foot landing outside his plant leg, rather than in front of it. This is unfortunately a pattern that continued throughout the game. 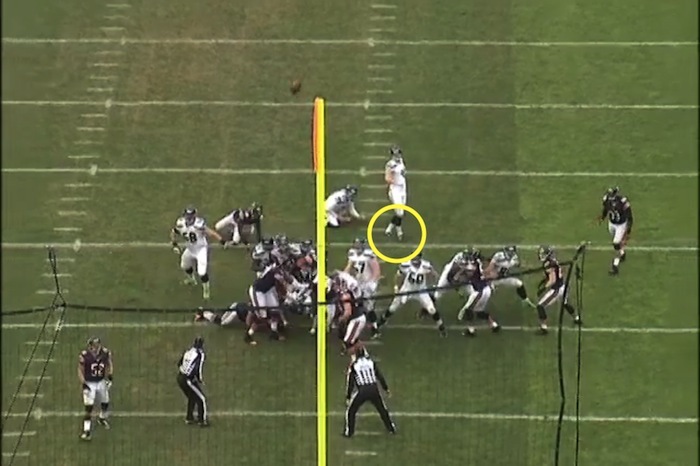 Once again, look at the position of Hauschka’s kicking foot after the kick. 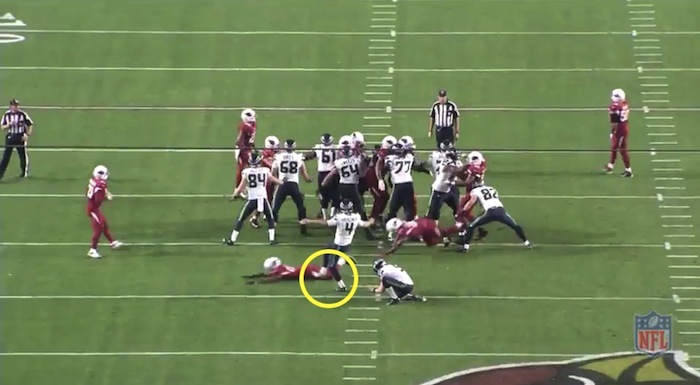 He does not have room to land to the Arizona defender just in front of him, but he has whipped around well past his target and is nearly facing the sideline. This is an incredible shift from the kicker we saw in 2012. Kicking from the right hash, Hauschka tries to get around the ball to prevent the slicing action on his first two kicks. Instead, just like a golfer, he hooks the ball, with a lower, piercing kick that misses the target. His feet tell the story once more, with his kicking leg well to the left of his plant leg as he faces the sideline another time. So are Hauschka’s issues a concern heading into the Super Bowl? Hauschka has only had three field goal attempts since the Arizona game. He has made all of those attempts and has shown much better follow-through, particularly on 42-yard and 45-yard attempts in Week 17 against the St. Louis Rams. 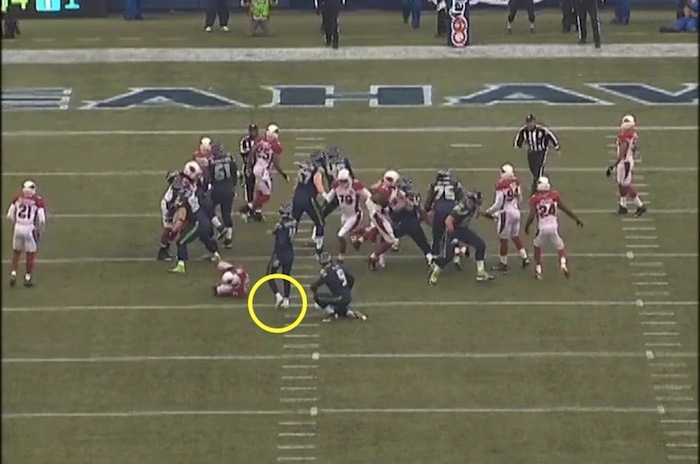 Hauschka is an incredibly talented specialist. He’s a much better kicker than I was, which means that if I can figure this out, he definitely can as well. The 0-for-3 against Arizona was likely an aberration caused by his initial miss, and I believe he has corrected his issues heading into the Super Bowl. On a big stage, nerves can be the difference between success and failure, but if Hauschka follows the blueprint he has laid out since Week 16, he should prove that he still belongs in the conversation of top kickers in the NFL.